Even with a little one running around the house we tend to be a tidy family, although even the tidiest of families have to deal with some cleaning set backs from time to time. For me, this would have to be my car. It's funny, I have no problem spending hours rearranging closets or pantries, but I have never been a fan of car cleaning. Now this doesn't mean I don't try to keep a nice clean car, but I may not always find the time to get out there and do it, especially when there are so many other tasks on my to-do list. 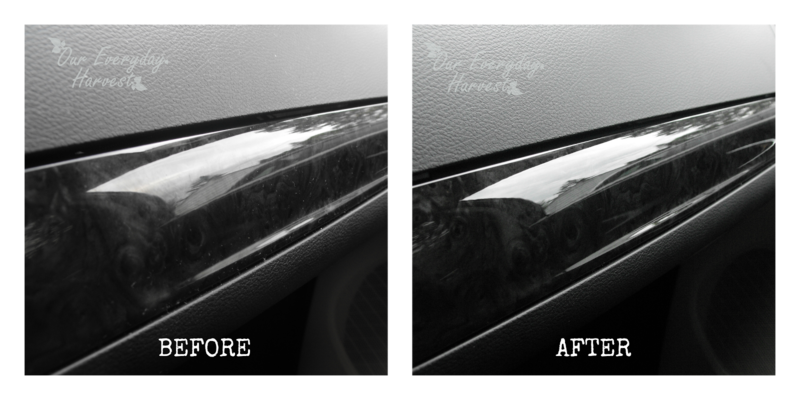 Fortunately for me, my hubby actually enjoys cleaning our cars (yay! 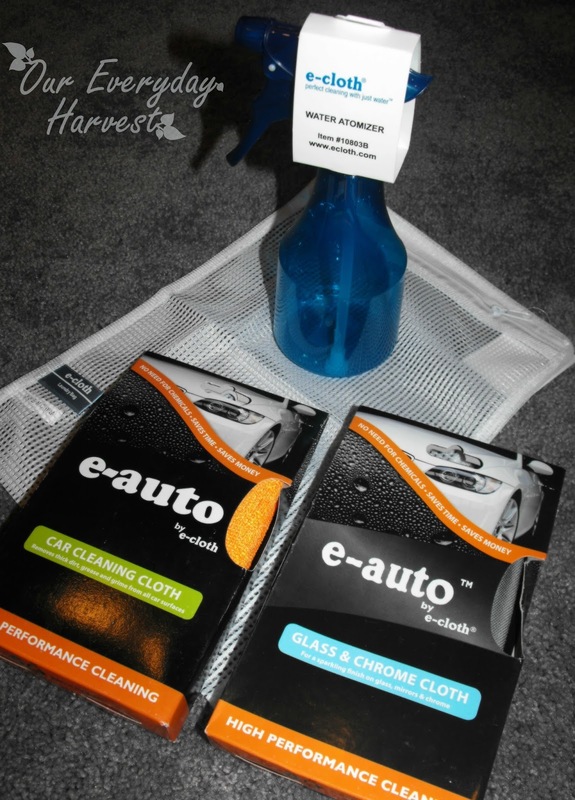 ), so I was excited to tell him that I had a new e-cloth Interior Car Cleaning Kit on the way! Some of you may remember a previous review I did on e-cloth where I had introduced their Glass & Polishing Cloth into my spring cleaning routine. Since 1995, e-cloth has been the top chemical free cleaning company in Europe, and in 2008 they began selling their products in the United States. The company's goal is “to supply the most effective, healthiest and most environmentally friendly cleaning system available at a good value to the consumer.” They achieve this by using special proprietary microfiber cloth technology to create products for all types of cleaning tasks. 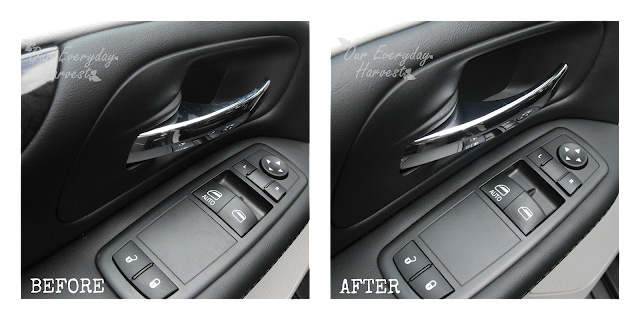 Since the interior of the "Mommy Mobile" is predominately black, it typically shows a lot of accumulation of dust. Even after wiping it down, I'll tend to find a new layer a few days later. Traveling with a little one, we try to stay on top of the dust control, but this sometimes involves using various cleaning products. With all of the hustle and bustle of summer, it has been a few weeks since my car received a good cleaning, so I had a nice little collection of dust particles going. As you will see in the following photos, the dust was no match for e-cloth. Both cloths are made with high quality material. My favorite item in the kit is the Glass & Chrome Cloth. 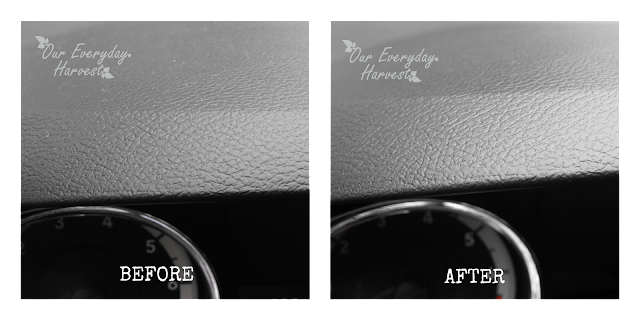 I felt this was the one product that really helped to grab dust off the dashboard and controls, better than the Car Cleaning Cloth, which seemed to leave some particles behind. The Car Cleaning Cloth did end up having have some great use, though. We actually used it to clean the door jams and vinyl near the floor areas. 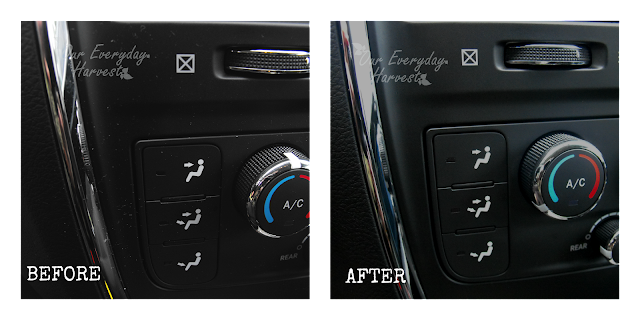 It really did a good job at picking up thick dirt that may have been tracked in from the bottom of our shoes (this will come in handy during the dreaded messy winter months). I guess this goes to show you how versatile these cloths really are. 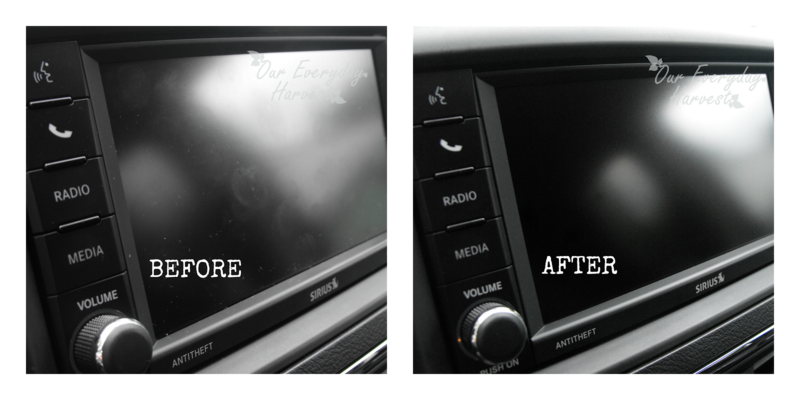 The "Mommy Mobile" has a touch screen that picks up dust fibers and fingerprints galore! 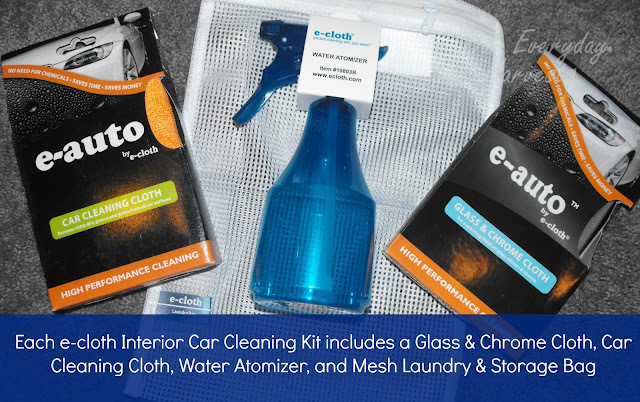 All in all, I'm a fan of the e-cloth Car Cleaning Kit and the simplicity of only needing water. This means I don't have to use chemical cleaners, which is better for my family, the environment, and even our wallets, since the cloths are also guaranteed to withstand 300 washes. If you'd like to implement more ways to clean the green way, then I recommend giving any one of the e-cloth products a try. No matter what you're looking to clean, they're sure to have something for you. 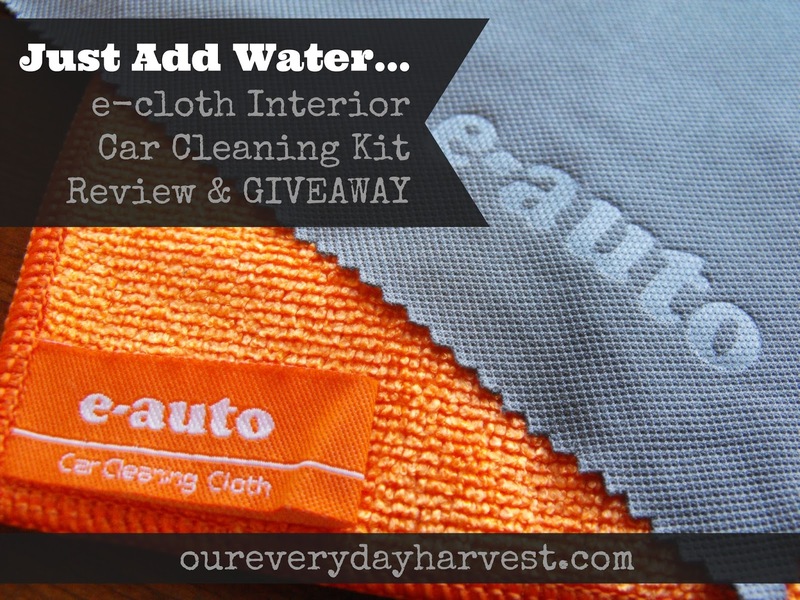 I've also teamed up with e-cloth to sponsor a giveaway! One Everyday Harvest reader will receive an e-cloth Car Interior Car Cleaning Kit.